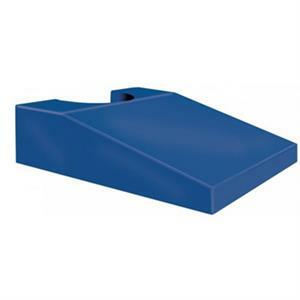 Reusable vinyl covered Endo ultrasound wedge is made of firm high-density urethane foam. This style features a durable heavy gauge reinforced royal blue vinyl outer covering. Sewn seams and tear resistant. These easy to clean wedges are radiolucent, but the seams will show. Provides excellent support for a wide variety of imaging and positioning needs. 20" x 20" x 6" tall.